If you’re not going to be living on your boat over the winter months, you will need to be prepared in readiness for some additional maintenance work and be familiar with what you need to do or else pay for a specialist boatyard to come and winterise your boat for you. Unless you winterise your boat properly, you’ll find that by the time it comes around to springtime again and you’re looking forward to getting back afloat, your boat might already be in ruins so unless you’ve got fairly decent maintenance skills in addition to understanding the basics of maintaining a boat’s engine as well, you should have a specialist boatyard take care of this for you, at least the first time so that you’ll know exactly what needs to be done if you opt for the DIY approach the following winter. There’s also the issue of whether you intend taking your boat out of the water and putting it into enclosed storage which is preferable but more costly than leaving it in the water and some aspects of winterising your boat will depend on which of those options you choose. When it comes to storing your boat in the winter, there is another article entitled ‘How You Should Store Your Boat In Winter’ contained on this website which will also be useful to refer to. As this is probably the most important and potentially expensive item on your boat and the messiest job of all, it’s better to take care of your boat’s engine first. The initial thing you should do is to change the oil and filter as you won’t want dirty oil in the engine stagnating throughout the entire winter. Then you need to drain the engine’s cooling system completely by opening the coolant drain situated at the lowest point of the engine’s system. If it’s a closed system, put in the recommended antifreeze and water solution according to the manufacturer’s guidelines. If it’s an open system, flush it with clean water using a simple garden hose inserted into its opening. If your boat uses a carburettor, make sure you drain the gas out of the tank and then fill the tank with fuel stabiliser as directed by the manufacturer’s guidelines before reapplying the drain screw. You’ll want to ensure that any tank used for toilet waste is pumped as dryly as is possible and unless you can remove the tank yourself easily, you should get a professional boatyard to do this for you. Then you should deodorise the tank and most marine shops will be able to provide you with specialised deodorising solutions specifically made for this purpose. The next stage is to remove as much of the gear that you keep on the boat as you can as you won’t want them to collect moisture and mildew over the winter. So, things like life jackets, cushions, sails or anything else which could be affected by the elements should be removed from the boat and taken away with you or stored indoors locally. If you’re going to be storing your boat indoors, keep all the hatches and storage cupboards etc open but obviously you’ll need to do the opposite and make sure that all these are firmly closed up if your boat’s staying outside. 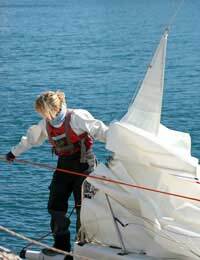 These are the main considerations when you’re looking at winterising a boat although there are some further useful tips contained in the other article mentioned above and specific procedures will vary somewhat depending upon the type of boat you have and the climate in which it is being kept.